As of December 10, 2018, Joe DeGaetano is employed as an Assistant United States Attorney for the Eastern District of Tennessee, and is not engaged in the private practice of law or taking new clients. 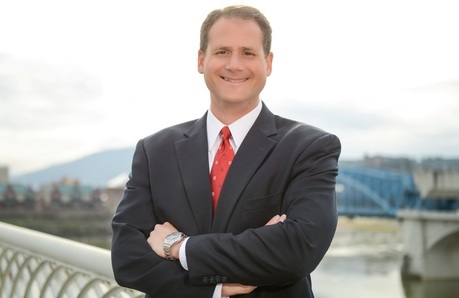 Joe DeGaetano is a Chattanooga trial lawyer. He represents people in personal injury and insurance claims in Tennessee and Georgia, federal criminal defendants in the Eastern District of Tennessee, and business clients nationwide. In the 2009 trial of an injury lawsuit in Rutherford County, Tennessee, Joe and his colleague won a jury verdict in excess of $10 million against an international, publicly traded restaurant chain for over-service of alcohol. In 2012, Governor Bill Haslam selected Joe as one of three finalists to serve as Judge of the General Sessions Court for Hamilton County. In 2015, the Hamilton County Commission appointed Joe to the Board of Zoning Appeals, which hears requests for zoning variances and other zoning-related matters each month. In 2016, the Hamilton County Commission appointed Joe to the Regional Health Council, the lead community-based organization designated by the Tennessee Department of Health, responsible for community health assessment, regional health planning, and the provision of input regarding funding decisions for health and health related initiatives.